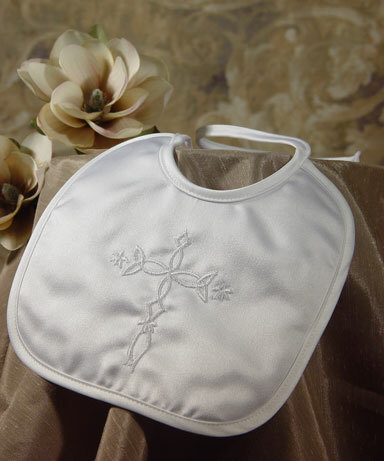 Matte satin bib with embroidered Celtic Cross. 100% Polyester. Backing is Polyester flannel. Hand Wash. Approximate size: 6.5" x 6.5". Packaged in vinyl bag. Hand made in the U.S.A.